The accelerating power of machine learning in diagnosing disease and in sorting and classifying health data will empower physicians and speed-up decision making in the clinic. This Collection is updated when relevant new content is published. Content appears in reverse chronological order. See all Collections from Nature Biomedical Engineering. Deep learning can be used to virtually stain autofluorescence images of unlabelled tissue sections, generating images that are equivalent to the histologically stained versions. An interpretable deep-learning algorithm trained on a small dataset of computed-tomography scans of the head detects acute ICH and classifies the pathology subtypes, with a performance comparable to expert radiologists. This Review summarizes the medical applications of artificial intelligence, and its economic, legal and social implications for healthcare. An alert system based on machine learning and trained on surgical data from electronic medical records helps anaesthesiologists prevent hypoxaemia during surgery by providing interpretable real-time predictions. A deep-learning algorithm can detect polyps in the colon in real time and with high sensitivity and specificity, according to validation studies with prospectively collected images and videos from colonoscopies performed in 1,138 patients. An assay that uses machine-learning algorithms on phenotypic-biomarker data from live primary cells predicts post-surgical adverse pathology in prostate-cancer and breast cancer tissue samples from patients. A low-cost point-of-care device that uses contrast-enhanced microholography and deep learning accurately detects aggressive lymphomas in patients referred for aspiration and biopsy of enlarged lymph nodes. A microfluidic assay that identifies sepsis from a single droplet of diluted blood by measuring the spontaneous motility of neutrophils showed 97% sensitivity and 98% specificity in two independent patient cohorts. Deep learning predicts, from retinal images, cardiovascular risk factors—such as smoking status, blood pressure and age—not previously thought to be present or quantifiable in these images. A cloud-based machine-learning software that scores individual guide–target pairs and provides an overall summary score for a given guide that outperforms competing algorithms for the prediction of CRISPR–Cas9 off-target effects. By taking advantage of stimulated Raman spectroscopy and fibre-laser technology, virtual histology images can be obtained in real time in the operating room, with diagnostic quality comparable with that achieved via conventional histopathology. A man/machine interface based on the activity of spinal motor neurons reinnervating the muscles of a missing limb in amputees enables the generation of neural signals for potential prosthetic control. 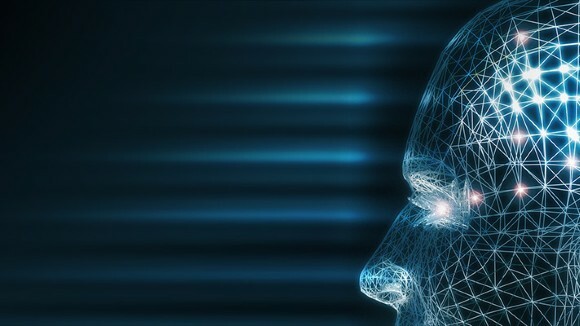 An artificial intelligence agent integrated with a cloud-based platform for multihospital collaboration performs equally as well as ophthalmologists in the diagnosis of congenital cataracts in a series of online tests and a multihospital clinical trial. Accurate and explainable detection, via deep learning, of acute intracranial haemorrhage from computed tomography images of the head is achievable with small amounts of data for model training. Clinical implementations of machine learning that are accurate, robust and interpretable will eventually gain the trust of healthcare providers and patients. Machine learning can predict and help interpret the risk of hypoxaemia during general anaesthesia. A deep-learning algorithm enables the real-time video-based recognition of polyps during colonoscopy, with sensitivities and specificities surpassing 90%. A holographic approach relying on small-molecule chromogens enables a rapid and inexpensive test for the accurate classification of aggressive lymphoma at the point of care. A microfluidic device for assaying neutrophil motility in blood samples from sepsis patients and a machine-learning algorithm trained with the motility data enable a faster and accurate sepsis diagnosis. Artificial intelligence may eventually help diagnose eye conditions and the risk of cardiovascular disease, solely from retinal images. Smoking status, blood pressure, age and other cardiovascular risk factors can be predicted from retinal images by using deep learning. Interventional healthcare will evolve from an artisanal craft based on the individual experiences, preferences and traditions of physicians into a discipline that relies on objective decision-making on the basis of large-scale data from heterogeneous sources. The accelerating diagnostic power of deep learning will soon empower physicians. Decoding the firing of individual spinal motor neurons enables the offline control of prosthetic limbs. Stimulated Raman spectroscopy combined with machine learning generates histological images for the rapid diagnosis and classification of brain tumours. Deep learning implemented in a collaborative cloud-based platform empowers ophthalmologists in the diagnosis of congenital cataracts.